To realize the full potential of artificial intelligence (AI), trust is crucial. Trust comes from understanding — and being able to justify — the reasoning behind an AI system’s conclusions and results. 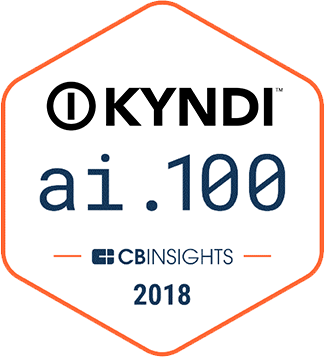 At Kyndi, we believe Explainable AI™ achieves the level of trust that is so important for accelerated growth and acceptance of this revolutionary technology. AI cannot be a “black box,” as it so often is today. At Kyndi, Explainable AI™ means that our software’s reasoning is apparent to the user. This visibility allows you to have confidence in the system’s outputs, be aware of any uncertainties, anticipate how the software will work in the future, and know how to improve the system. Such knowledge is essential to confident analysis and decision making. Explainable AI™ is also necessary to provide a natural feedback mechanism so that you can tailor the results to your needs. Because you’ll know why the system produced specific outputs, you will also know how to make the software smarter. Using a process that we call “calibration,” you can then teach the software to produce better results in the future. Explainable AI™ thus becomes the foundation for ongoing iteration and improvement between human and computer: you can show it how to become better, and in some instances, it can make you aware of blind spots or biases. Our novel approach to AI, which unifies probabilistic and logical methods, was built with explainability as a fundamental requirement. A critical function of the software is to answer questions, recognize similarities, and find analogies rapidly. These features let us build models that are made up of a series of questions, for which our software attempts to generate answers from the data you provide. Our solutions justify their reasoning by pointing to specific instances in your data and highlighting the relevant words and phrases. By providing auditability, you can confidently assess the results when applying them to further analysis or to make immediate decisions. All this information is readily available through the user interface. Our Explainable AI™ software is especially relevant to regulated sectors – government, financial services, and healthcare – where organizations are required to explain the reason for any decision. Because our software logs every step of its reasoning process you can transform regulated business functions with AI, and rest assured that you will also be able to justify decisions when necessary. We invite you to contact us to learn more about our vision for Explainable AI™ and how our software solutions break open the AI black box. You can also connect with us on Twitter and LinkedIn.